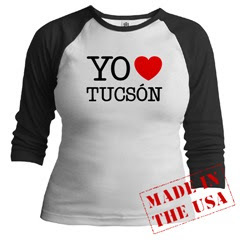 Tucson Querido - a Tucson Blog: Save Mexican Train! This is a photo of Poncon. He is a Homie. He plays Mexican Train with us. Or rather, we play Mexican Train with him. What is Mexican Train? Mexican Train is a domino game, played mainly in the USA. It is probably best for four or more players. It's a staple at our place on weekends since Andrew's gramma taught me how to play. The neighbors come over, we drink, eat and play Mexican Train until we pass out. It's fun. So my problem is the following: Wikipedia has tagged "Mexican Train" as Wikipedia articles with topics of unclear importance from December 2006. What?! Mexican Train is SOOO clearly important! Being that I am studying for comps, I don't have the time to beef up that wiki piece. Please, anybody, get in there and SAVE MEXICAN TRAIN. Mexican Train Dominoes, or also known as Trains, is a game played largely in theUnited States. Due to its fame, many other versions of the Mexican Train Dominoes have existed. According to quite a few accounts, the original Mexican train was copyrighted by Roy & Kate Parsons of Newport Coast,California. There’s no precise account saying how this game has been made-up or discovered. Nevertheless, Mexican Train is a trend in all cultures who adored playing domino games.